North Carolina still remains one of only a very few states in the nation that does not require any educational standards for individuals who perform x-ray exams or radiation therapy treatments. The Legislative Committee of the NCSRT, Inc. has been working diligently over the past several years to try and pass legislation to provide for the licensing of radiologic technologists and radiation therapists. We are once again striving, in conjunction with the ASRT and our legislative sponsor, Rep. Verla Insko, to edit and streamline our newest version of the licensure bill to enhance the possibility of passage. The Legislative Regular Session will adjourn in the early summer, so our goal is to have the new version researched, edited and ready for introduction at the beginning of the short session later in the year. Legislators need to hear about the important impact educated radiologic imaging and radiation therapyprofessionals have on quality patient care and safety. The NCSRT, Inc. is requesting all radiologic technologists who live in North Carolina to contact their senator and representative to help secure support for licensure in our state. Let your voice be heard! this is how we implement corrections or changes. We will do this on the House side and it will carry over to the Senate side. The changes we are working to make are for the Podiatrist and Chiropractors Associations. This gives them another avenue in addition to the limited license permit. Radiologic Technologists for persons applying for a limited permit in spine radiography. die if this does not happen by the cross over deadline. That deadline this year was April 30th. Because the Bills include a fee they did not die when cross over occurred on April 30th. 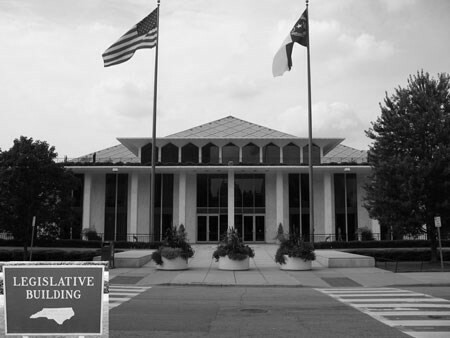 thus keeping our license Bills budget neutral in regard to the NC state budget. Many groups have misinterpreted the fees in our Bills. going back to the legislators for approval. (1) Initial, provisional, or temporary license application fee, one hundred dollars ($100.00). (2) Biennial license fee, two hundred dollars ($200.00). (3) Temporary license fee, one hundred dollars ($100.00). (4) Provisional license fee, two hundred dollars ($200.00). (5) Duplicate license, twenty-five dollars ($25.00). (6) License renewal late fee, seventy-five dollars ($75.00). When the Commission is established, they will decide exactly what the fee structure will be. "§ 90-741. Powers of the Board. Mitigation in the Bills - Enhance Patient Safety in Radiologic Imaging. To view a copy of the questionnaire used to establish the need for licensure Click here.